Recording artists Boyce Avenue is a band comprised of brothers Daniel Manzano (bass, percussion, vocals)., Fabian Manzano (guitar, vocals) and Alejandro Manzano (lead vocals, guitar, piano). The band releases music on its own 3 Peace Records label, including the full length album “All We Have Left”, and has sold over 150,000 albums, 3,000,000 individual tracks and 30 million paid streams worldwide. Boyce Avenue has also toured the world extensively, most recently selling over 250,000 tickets on their last headlining tour including multiple stops in the United States, Canada, Europe, the United Kingdom, Australia and Asia. Boyce Avenue is world renowned for their large social media following including. 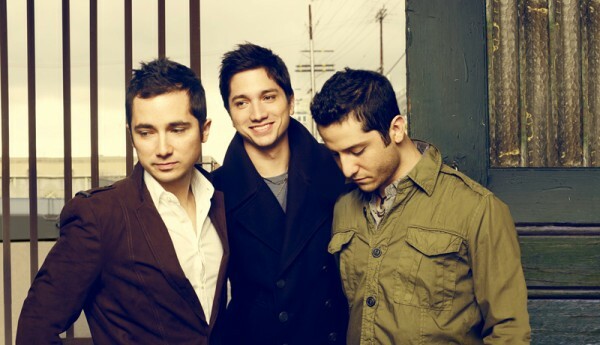 Boyce Avenue is also well known for their massive social media presence on Facebook, twitter and especially YouTube where they are among the top musicians worldwide with almost 1,75 0,000 subscribers and 750,000,000 views to date. Boyce Avenue is currently writing and recording songs for their second album which is expected to be released sometime in 2013.